No bake cookie. Energy bite. Call it what you wanna call it. These ‘bites’ are dang good. They kinda make you forget that they have NO oil, NO butter, NO anything super bad for ya. After all, a little sugar never hurt anyone. Hence, energy bite. 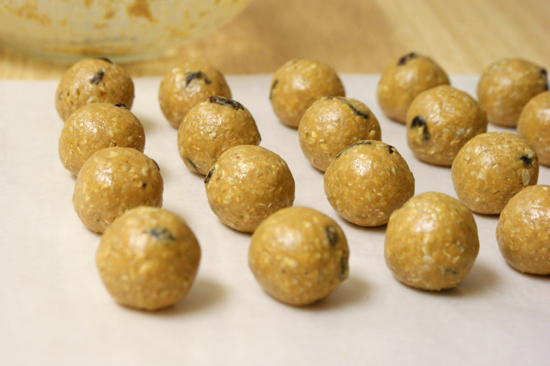 Peanut butter, oats, a few raisins and a couple other things is all you will need. You probably even have all of these ingredients in your pantry. P.s. are you a New Year’s resolution-maker? I totally am not. But these cookies will satisfy your sweet tooth if you’re trying to cut out the naughty desserts. Did I mention they take less than 30 minutes to pull together!? 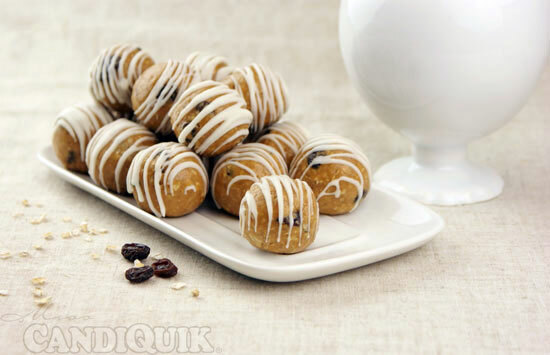 These somewhat resemble frosted doughnut holes – but wayy healthier. 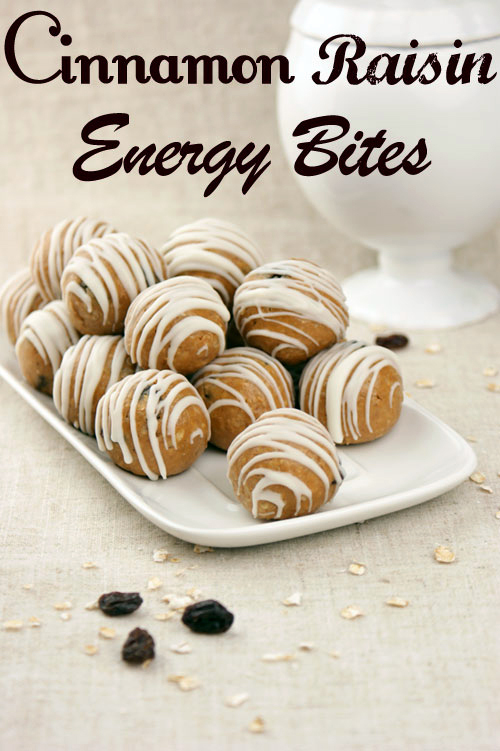 A healthy, energy and protein packed snack bite! Pour peanut butter and honey into a medium bowl and microwave for 20 seconds to soften. Let mixture chill in the refrigerator for 30 minutes. 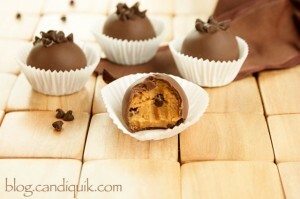 Roll into 1" sized balls and place on wax or parchment paper. Melt Vanilla Candiquik according to package directions. 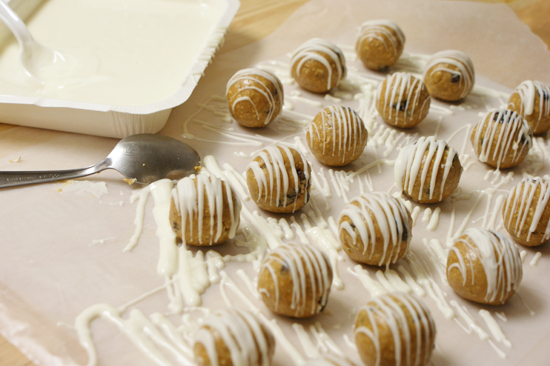 Using a spoon, drizzle vanilla coating on top of balls. Store in an airtight container. I refrigerated them as personal preference. Also, if they become too warm, they may lose their shape. Let me know what you think of these! Enjoy! Gluten Free/Grain Free P.B. 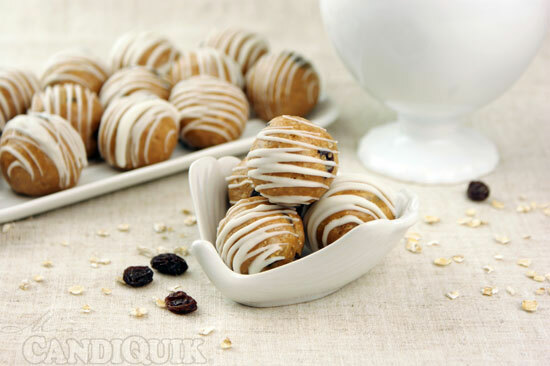 Cookie Dough Bites! YUM!! It’s like little bites of JOY! Love this idea… I may have copy it! Thanks so much for linking up at Two-Cup Tuesday! See ya again next week! Love these and the candiquik makes them so pretty, too! Great for a quick breakfast! What can I sub the flax with? I’d like to make these for my 16 month old. No flax laying around but lots of oats raisins and craisins. 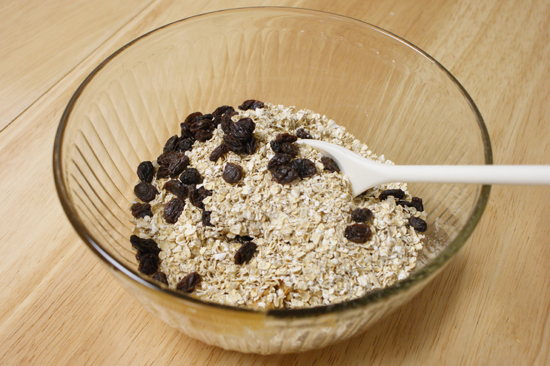 Hi Amy – just skip the flax and sub with a little more of the oats, that will work fine! Hope you enjoy! 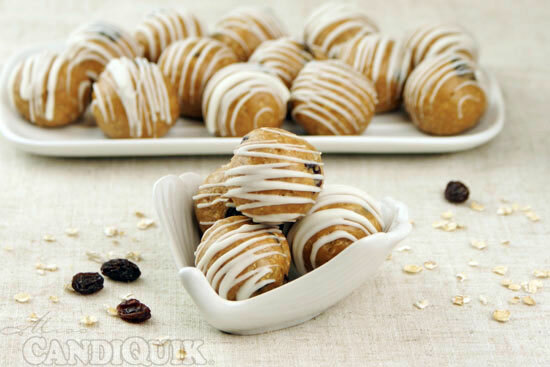 Do you think these would work with dried cherries instead of raisins? Hi Catie – yes, they would work fine! This recipe is really pretty adaptable – enjoy! I made these tonight. They taste awesome but mine are so squishy. Are they supposed to be squishy or are they supposed to hold their shape like a regular cake ball/pop that is not dipped in candy? The only thing I did different was I milled the oatmeal. Hi Dawn, they shouldn’t be too squisy, they should hold their shape easily – try placing the mixture in the fridge prior to rolling (I stored mine in the fridge even after rolled). Otherwise, add more oats Thanks for stopping by! my mom and future mom-in-law love cinnamon bread… i’ll make some of these bites for them… hope i can make it right though. i’m bad at the kitchen. ^^ will be back for the result! i love your site… kudos!!!! I tried these and absolutely love them!! Thank you so much! Yay! Thanks for the feedback, Alina! Why do they need to be refrigerated? I’m thinking of making them for my husband and his team when they go on a 10hr adventure race. If I don’t use the candiquick, I don’t see any ingredient that would require refrigeration. Hi Lauren, they do not need to be! Thanks for bringing that to my attention, I will edit my notes. The only reason I kept them refrigerated was personal preference! If they do get too hot though they might begin to lose their shape :). Enjoy!